On Monday, incoming Florida Attorney General Ashley Moody announced that Nicholas Cox will stay on as Florida’s statewide prosecutor. Moody, who takes over new post on Tuesday, reviewed applications forwarded by the Florida Supreme Court Judicial Nominating Commission and, after interviewing finalists, decided to keep Cox at his post, leading the Office of Statewide Prosecution. “Attorney General-elect Moody is dedicated to fighting crime and continuing to make Florida a safer place for families, visitors and businesses. Her extensive knowledge within the courtroom will greatly benefit the Office of Statewide Prosecution. 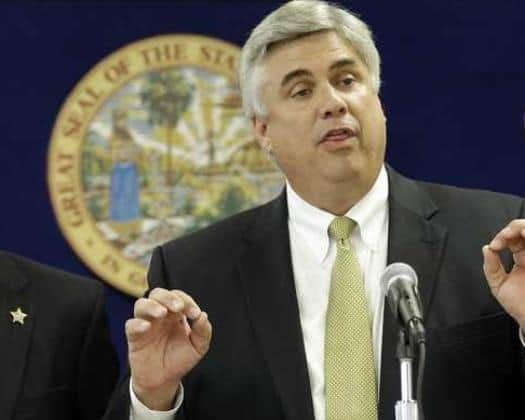 I am honored to continue serving as Florida’s Statewide Prosecutor and look forward to working with Attorney General-elect Moody to shut down drug rings, prosecute human traffickers and fight organized crime threatening Florida’s citizens,” Cox said. During his legal career, Cox served as an assistant state attorney in the Tampa Bay area and then was the Department of Children and Families’ regional director for the SunCoast Region. In 2005, he joined the state attorney general’s office. In 2011, when she took over in Tallahassee, state Attorney General Pam Bondi named Cox as Statewide Prosecutor. Facing term limits in the 2018 election cycle, Bondi threw her support behind Moody and helped her win in November.